Thailand in April: How to enjoy it to the fullest? Thailand is undoubtedly the travel hub of Southeast Asia. 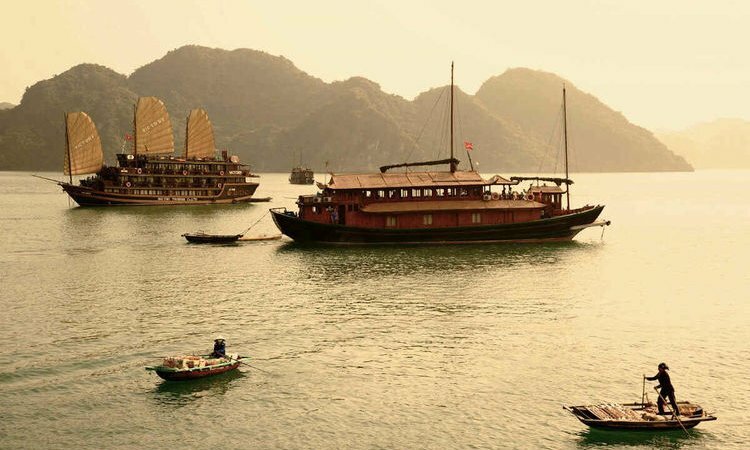 It’s the most visited country in the region - for a good reason! With favorable exchange rates, an unfussy tourist visa policy, idyllic beaches, fantastic elephant sanctuaries and world-renowned cuisine, Thailand lives up to its name. And believe me, the list goes on. However, during the high season which takes place from November to March, Thailand is packed with tourists. Therefore, April is growing to become a preferred choice of many travelers. But why? Obviously, there’s a reason everyone flocks to Thailand during the high season: the weather is great! Warm sunshine and very little rain are irresistible lures for travelers fleeing winter in their home countries. 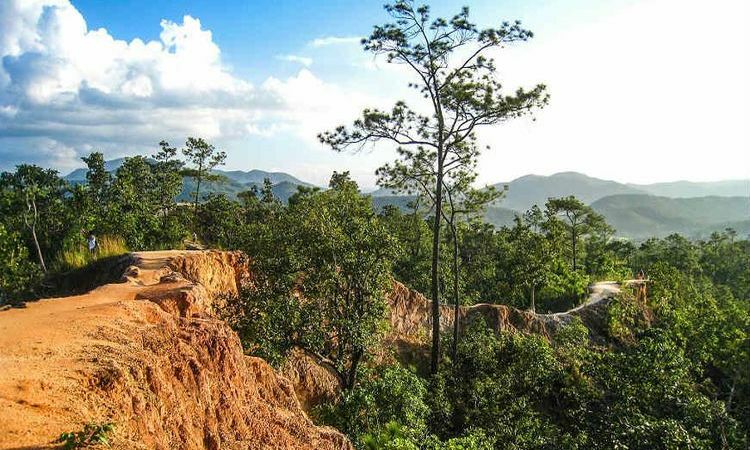 However, April holidays in Thailand give no fret to travelers and let them enjoy the landscape and the culture of the country in an utmost private and tranquil setting. Another advantage of traveling to Thailand in April is that the travelers get great deals and discounts on everything ranging from flights, hotels, and holiday packages. Here comes the game of ‘Affordable luxury’ in Thailand. For what you'd pay to get a cracker-box room in U.S. and European big cities, you get to go in style here. Luxurious resorts offer the price which may get as low as one-third of what you have to pay for the same standard back home. So live it up, chances do not normally come around! Be prepared for the sweltering heat! Thailand in April is HOT. I mean it! April can bring extremely high temperatures throughout Thailand, particularly in the north and north-east of the country. Summer temperatures often nudging 40°C (104°F). Therefore, it makes sense to try to plan any activities and sightseeing for the morning or late afternoon wherever possible. The April heat and humidity in Thailand can be draining and visitors should drink plenty of bottled water to keep hydrated. 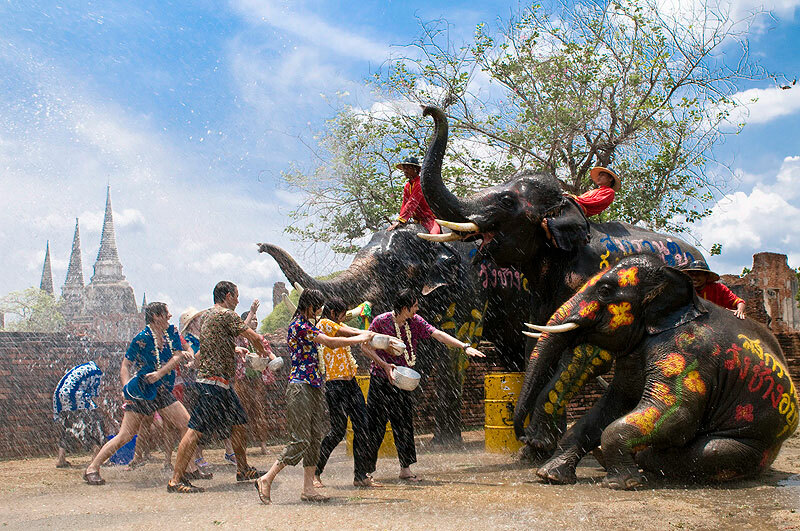 Songkran is a three-day water fight that celebrates the Thai New Year. It occurs between April 13th to 15th. Songkran stands to be the most popular festival of Thailand that marks the beginning of a new solar year and is a time of renewal and rebirth. The festival originates from a belief of Thai people: Water will wash away bad thought and action of the old year and bring good luck in the new year. All over the country, from big metropolises to tiny villages, Thai people celebrate the new year by dumping buckets of cold water on each other. Seeing people come out on the streets with water guns, buckets, and water balloons is totally a norm in Thailand during these 3 days. So if you’re out and about on Songkran, don’t expect to return to your hotel room dry! Songkran takes place all over the country and, if you are in Thailand during this time, you WILL experience it. You can’t miss it. It’s like the one thing that brings everyone together here. Prepare to get wet. Prepare to have to fun! With more than 8000 kilometers of idyllic coastline, emerald sea and amazing beach resorts, Thailand beats any countries in Southeast Asia to be the best attraction for every beach lover. As the cost of living is reasonably low, international travelers don’t have to shell out much money to afford luxury in Thailand. 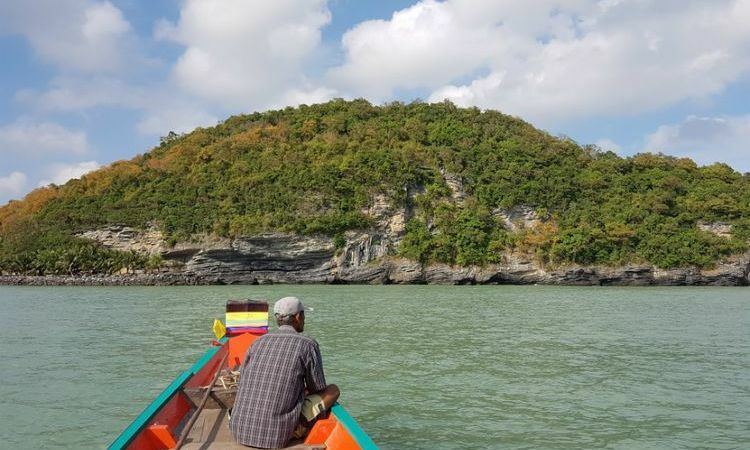 This ensures that more islands get explored in Thailand and many more gems are unearthed. Although countless visitors in recent years have often moaned about the over-commercialization of Thailand making it too crowded for a serene holiday, April is the perfect time for an island-hopping tour. Wherever you go, clear blue skies and dazzling sunshine are waiting. 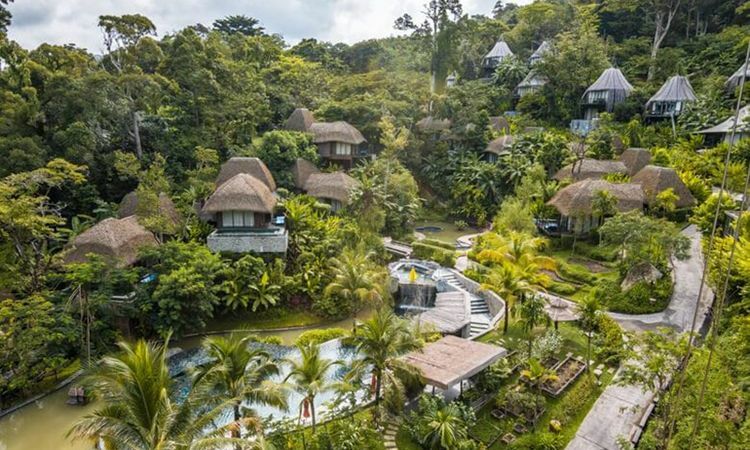 You can also luxuriate your stay with 5-star resorts at a much more reasonable price. Some of the islands one must visit during the month of April are: Phi Phi Islands: Thailand’s number 1 tropical party island. Koh Samui: Popular island with long beaches and luxury accommodation. Koh Phangan: Serene island that hosts large beach parties. Koh Tao: Thailand’s number 1 island for snorkelling and diving. 3. Interact with Elephants Ethically in Sanctuaries. Elephants are considered to be the spirit animal, the national symbol of Thailand. In many parts of the country, elephants receive the equal respect to a Thai family member. Therefore, many wildlife protection sanctuaries have been opened and are being run by the government and NGOs to protect elephants from poaching and abusement. 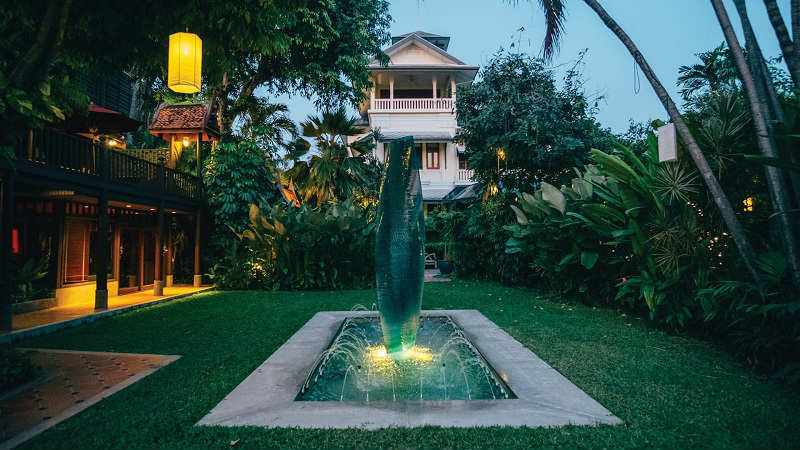 Travelers coming to visit Thailand in April should definitely consider stopping by and spending at least a day at one of these lovely sanctuaries. Each elephant sanctuary offers visitors different programs designed to balance the needs of tourists, elephants, mahouts, and their families. All of them are surrounded by quiet forest spaces for giant pachyderms to relax in. 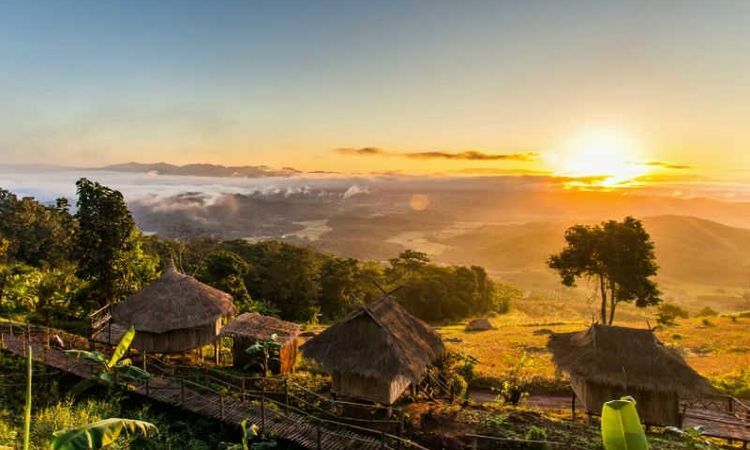 The best elephant sanctuaries in Thailand are found in the Northern region of the country near Chiang Mai where the forest cover is denser than the south. They would provide you with a private shelter to escape from the heat of April. 4. Visit the Buddhist temples in Bangkok. Bangkok can be oppressive in the April heat. Hot cement, air that seems deadly still between the high rises, and vehicle pollution all combine to make the air and temperature uncomfortable. Thus, visiting several intricately designed Buddhist temples might be a better choice during these boiling hot days. These temples form a pillar of spirituality and an aura of tranquillity in the capital city of Thailand. Visiting these magnificent edifices not only takes you to houses of worship but also places that are world renowned for their stunning architecture and design. Some of the must-visit temples in Bangkok are- Wat Pho (Temple of Reclining Buddha), Wat Arun (Temple of Dawn), Loha Prasat Temple, and Wat Phra Kaew (Temple of Emerald Buddha). Don’t they all sound so tempting? At least, they do to me! Let Exotic Voyages and our experienced Travel Experts bring all these amazing experiences to you with our Tou.